CourtFileNow provides courts, clerks, and other justice staff with instant access to all cases, and provides flexible and efficient processes to complete all case-related functions without shifting to the case management system. In as few as two or three clicks, CourtFileNow provides a single platform for handling both eFiled and non-eFiled cases, including full docket history, party information, disposition status, judgments, service history, event history, and all cases. In the system, judges can instantly switch from viewing the Calendar to Case Detail or Schedule New Events. Courts can quickly file an order, or approve a proposed order submitted by an attorney. Proposed orders can be used verbatim or modified. Court staff can complete filings up to the point of submission and then save as an “In Process” filing for routing to the judge for a final review or submission. CourtFileNow can be customized for each county and each court. Responsibility and levels of authority can be assigned immediately online. CourtFileNow simplifies and controls clerk and court processes. Paper can get misplaced, but work in CourtFileNow is always instantly available. Manage Court Location, Court Staff, Assignments, Responsibilities, and Queues. View and process Incoming Queue for all Filings coming from Clerks, or Emergency Filings routed directly to the Court. Route with “sticky notes” as desired. Choose which Court Queues to View, and view in detail, if desired, in Active or Archived Queues. View Filed, Processed, and Defective Filing Events and Detail. Move items to Archive Queue and back to Active Queue. Easily add text to the Docket or Chronological Case Summary. Send case communications to selected or all attorneys on the case. File on a case using the court’s own order or use Custom Quick Order Forms for rapid generation of frequently used orders. File to a journal of court orders. Update case disposition. All Court Orders generate eService to all attorneys on the case. Route documents to Court or Clerk Staff with electronic “sticky notes” if desired. View Active and Archived Filings, view Detail, Parties, Disposition, Judgment, Service History, Events, and Docket with Documents. Select Court and Date Range and drill down to view details. Reschedule or document a calendar event result. Find cases by Case Number or Party Name and access detail. View or add to the judgment order. 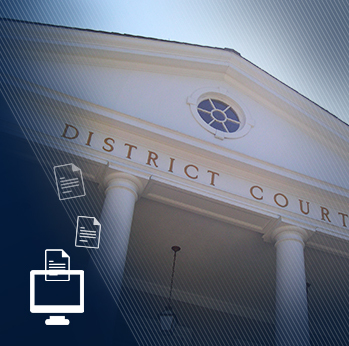 "CourtFileNow can manage the document filing and service needs of virtually any state court. The system can integrate with almost any modern case management system. After receiving thorough hands-on training, another important aspect of Cenifax Courts’ service in bringing CourtFileNow to its clients, courts and clerks staffs become better at their jobs – more accurate and more efficient. And lastly, but not least important, the records processed become both more accessible and more secure than conventional paper documents."